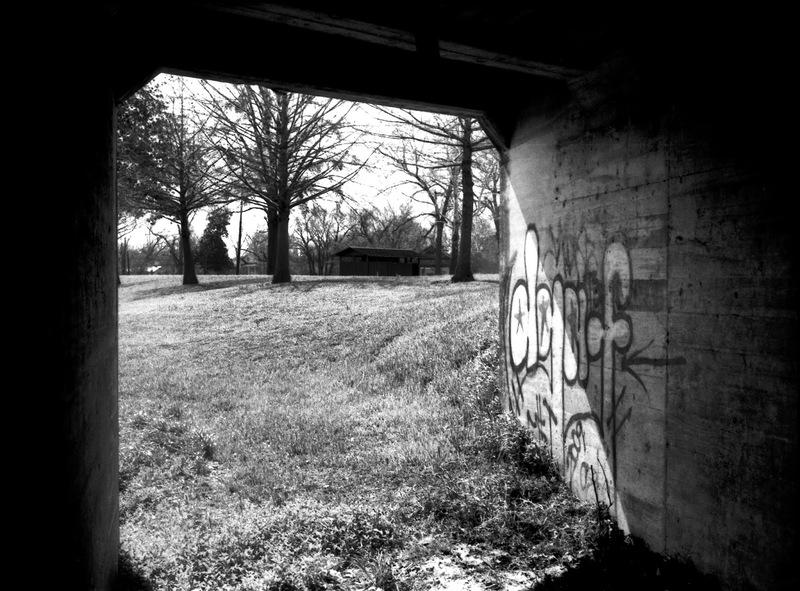 Looking out from inside a drainage tunnel under the South Street viaduct in Nacogdoches. Yashica Electro 35 on Ilford FP 4 35mm film. For want of anything else to write about in this week's Analog Interlude, lets talk a bit more about the rangefinder cameras and the images I've been making with them. Working with the rangefinders has been taking me back to my earliest days when I was still learning about photography and what I could do with it. I got my first camera from my father when I was about 8 or 9 years old, an old Kodak. It wasn't any great shakes as far as photo equipment was concerned. But it definitely opened my eyes to the joys of photography. I have absolutely no memory of where he got it, or even which Kodak camera it was. All I remember was it was an Instamatic camera and, from the moment I picked it up and looked through the lens, I knew I was hooked. It wasn't too long before I graduated from giving my dad the film and him giving me back a handful of photographs. Soon, I was following him into the darkroom he had built out of an old coal room in a dark corner of the basement of our home, watching him develop the film and make those prints. And, it wasn't too big a step from there to learning how to do it myself. I'm pretty sure I've mentioned it before, but I can still remember the thrill of watching that first image I had developed and printed as it appeared as if by magic in the tray, turning from a blank white sheet of paper (well, yellowish red, under the darkroom lighting) into an image I could remember seeing through the viewfinder of that first camera. 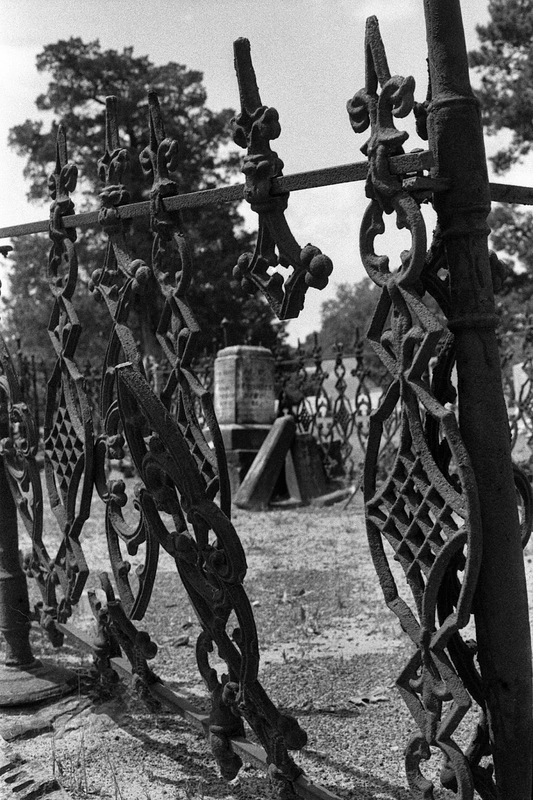 LEFT: "Iron Fence, Old North Church Cemetery, Nacogdoches, Texas"
Minolta Hi-Matic 7 35mm Rangefinder camera, Kodak Tri-X film. For any of you who know something about darkroom technology, those were the days of the old bromide printing papers. Today, the majority of black-and-white paper used is coated with a plastic resin which the photo-sensitive chemicals are layered on to. It's supposed to prevent the chemical soaking into the fibers of the paper which, unless carefully and meticulously washed away, will eventually ruin the print. But, when I first started out in the darkroom, the paper was heavy and thick, almost more cloth than paper. There were none of the chemicals imbedded in the emulsion to speed the development in the tray. It was truly a matter of watching and waiting, judging when the image had been processed fully, when the contrast of the image had developed to its optimum point. You can still buy bromide-style photographic paper today and it is truly a different critter. Fiber-based papers in general, without the plastic resin coating, are easily available, mostly in what's known as a variable contrast configuration which react to different colors or wavelengths of light from the enlarger to increase or decrease the contrast of the image. The old bromide papers were formulated for a specific level of contrast, depending on the negatives you were working with at the time. A standard paper, meant for perfectly exposed and developed negatives, is classified as a Grade 2, and they increase and decrease in contrast from there. From that first Instamatic camera, I graduated eventually to an ancient scale-focus 35mm camera. I think my dad found it used at a small camera store or perhaps a flea market somewhere and fixed it up for me. I shot I don't know how many rolls (miles?) of film through that camera before I finally graduated to a single-lens reflex camera. RIGHT: Semis waiting for loads sit inside the fence at the Lone Star Feed manufacturing plant in Nacogdoches in July under a sky filled with fluffy clouds. Olympus 35RC and Ilford FP4 film. So I guess I sort of bypassed the whole rangefinder genre of camera, until later, when I entered junior high. Then I was using a Yashica Electro 35 which belonged to either our art teacher or the school, I'm not sure which. There are advantages and disadvantages to the rangerfinders compared to the single-lens reflex cameras. As I've mentioned before, the rangefinders can be smaller, because they don't need a massive prism system to direct the light from the taking lens into the viewfinder. They're also quieter, because they don't have a mirror to divert the light into the prism, which has to be yanked out of the way to expose the film. But single-lens reflex cameras, by virtue of the same mirror and prism system that makes them larger and louder than rangefinders, are easier to work with at close focusing distances. Essentially, you're seeing exactly what your photographing with an SLR camera, which makes macro photography especially much easier. It's the difference between the viewfinder and the lens on the rangefinder cameras which causes that effect. It's not great at distances, but close up, the difference causes problems with framing the image. But camera companies have adapted to that problem, either by putting alternate/closeup framing lines inside the viewfinder or by "coupling" the viewfinder to the focusing lens so the viewfinder moves ever so slightly as you focus closer to keep the framing true. Most older rangefinder cameras have fixed lenses of a single focal length. Not all, by any means, and modern rangefinder cameras (there are still a few companies making them) have interchangeable lens systems. The fixed lenses on a lot of the old rangefinders are really amazing, with great color reproduction and clarity coupled with relatively fast apertures. And, as I'm sure I've said before, they are just really fun to shoot with. 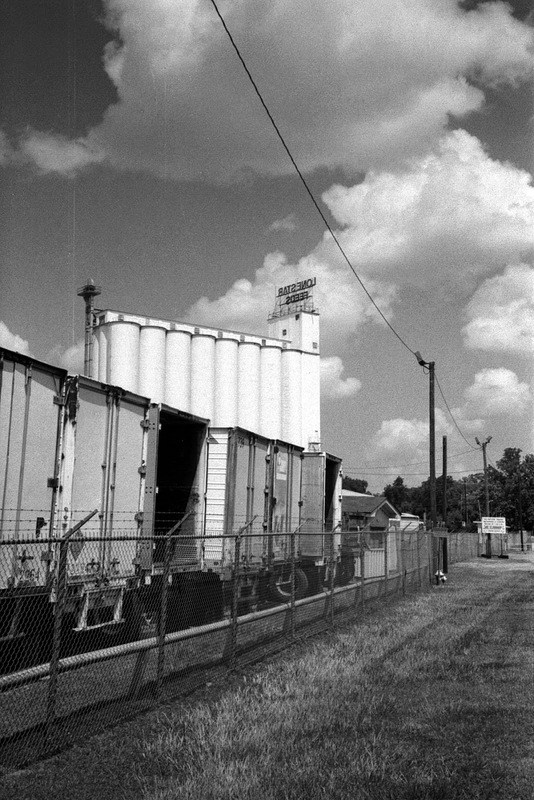 A lot of the work I'm doing on the Analog East Texas Project has been and continues to be in black and white photography. It's where my roots really are and, to me at least, there's just something about black and white images that's truer, if that makes any sense. And it's so much easier to develop and print black and white film than color. 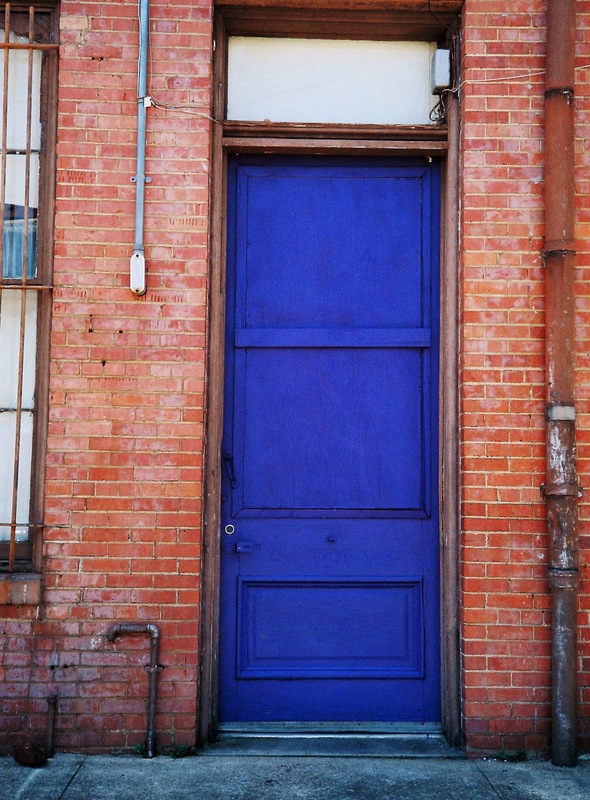 That doesn't mean I don't occasionally shoot color. In fact, I'm toying with a trip idea in the near future to shoot some fall colors. If, and when, that trip comes to fruition, I'll definitely be posting some images here and on the Analog East Texas album on Flickr. In the meantime, here's a final image for this week, made with the Olympus 35RC on one of my many wandering trips around downtown Nacogdoches.